If you enjoy this sample, please check out my book on Amazon, available in paperback and kindle, and as an ebook at Smashwords. Anthony enjoyed going to the ocean. He loved the cold water on his hot body. He loved the hot sand tickling his bare feet. He loved the sensory pleasures of the ocean breeze on his skin, the whitecaps breaking and the seabirds running after the waves. He enjoyed finding seaweed that washed ashore and stomping on the air bubbles. Seaweed was enticing. It twirled and trailed after Anthony in fascinating patterns. Putting it all together, the ocean was a huge rush, thrilling every sense, even taste. “Anthony, take the seaweed out of your mouth!” his mother yelled. The three boys were playing in the sand. Mark had prepared a long path meant to funnel the tide. Little Gary played with his toys, attempting to build a tower of sand. And Anthony, who had resisted all attempts to get him to make his own tunnel or tower, was sitting nearby running sand through his fingers and loving the feel. He stared, mesmerized at the sight of the sand tumbling in falling columns to the sand on his feet. He had to taste it. The urge was overwhelming. Oh no, not again. Anthony’s father jumped up. Part of Anthony wanted to eat more sand just because he hated baby talk so much. Compulsions were hard to take. They were like a body ordering a mind. It wasn’t as if Anthony enjoyed a mouth full of sand. It was gritty and tasted salty and he felt a bit like gagging. He saw his brothers pretending they weren’t with him. He saw his father’s shame. If Anthony could have explained, he would have told his parents that he had to obey the compulsion. It didn’t matter that the sand was gross in his mouth or that he looked like a strange oddball to the strangers who were staring with such curiosity. His body ordered him to eat sand, so he ate sand. His impulsive acts were like a lizard hanging out on a rock and without thought ambushing the cricket that wandered by. Like the lizard, Anthony lived with impulsive actions governed by his primitive brain, but unlike the lizard, they often were not functional. A lizard eats his cricket to survive. Anthony’s impulses, like pulling petals off flowers or eating strangers’ leftover scraps he found on the tables in the mall food court or putting sand or seaweed in his mouth, seemed idiotic, harmful, or just plain weird. But he had no means to resist these compulsions. “It isn’t good, Anthony,” his father said. He took Anthony by the hand to play in the waves. Gary took his father’s other hand. The moist sand vanished under Anthony’s feet. Anthony bounced up and down on his toes and waved his arms in the air, excited. The three of them jumped over the approaching waves over and over. Finally, Anthony tumbled forward and brought his hand deep into the soft, muddy sand. There was no stopping himself. He put a handful of it into his mouth. “I can’t take this any longer,” Anthony’s father muttered. He brought Anthony and Gary back to the towel. “He did it again,” he told Anthony’s mother. “He has autism,” Anthony’s father yelled to the staring strangers. They turned their heads, embarrassed at being noticed. “Fine, let’s go play ball,” he called to Gary and Mark, “and maybe,” he suggested to Anthony and his mom, “you two can stay here on the towel.” Anthony’s mom gave him a snack. She poured sand on his legs and dug holes in the sand with him. He started to calm down inside. His mom sang to him and he snuggled next to her. Then she took Anthony by the hand and they went for a stroll by the shore. He felt the velvety sand under his feet squish between his toes with every step. He felt salty and damp. He was happy. When they came back to the towel, after a long walk, Gary’s tower stood, pail-shaped, made by inverting damp sand into a multi-tiered edifice. Anthony had to obey. He stepped on it. 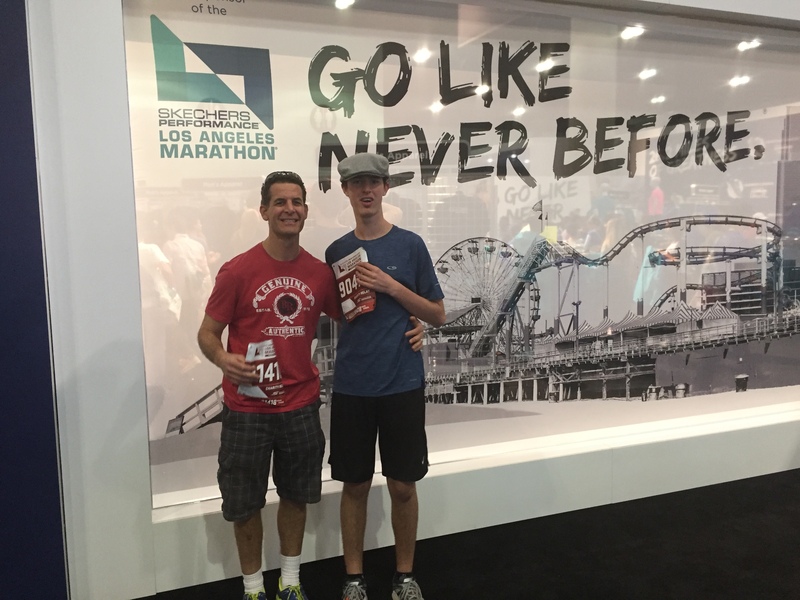 This essay by my friend, Dillan, is about his love of running. For him running serves many purposes. He channels hyperkinetic impulses. He gets fit. He interacts with others. But here he describes one more thing– the mental benefit. He mentally gets liberated from autism while running. How lucky to get a respite from autism. I encourage people to exercise. Living with autism does not mean we must not exercise. It helps in every way. But respites can be found in many things, in music, in swimming, in learning- simply in moments when joy breaks through the symptoms. I have experienced many challenges in my life with the autism that takes root in my actions, my thoughts, and my feelings. However, I have also been blessed with gifts, and I am going to talk about one of them today. 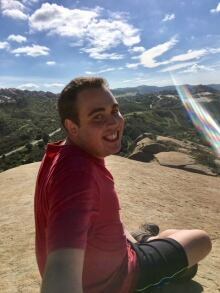 I wrote this essay for my college applications, and it means a lot to me that you will also read these words about the times when I can leave my autism behind. It would be easy to write about autism. I always have that inspiring story in my pocket, The Boy Who Had Autism and Learned Anyway. In this moment, however, I want to talk about the moments when I can separate myself from autism, even if it is only for a short time. Those moments come when I run. I am on the cross country team in the fall. I run track in the spring. I wake up early in the summer and run miles just because I want to. I am fast and my legs are strong. My body moves with certainty and obeys my commands. That means more to me than it does to many others because in almost every other moment of my life my body is a mess. The chasm between what I want my body to do and what it does is huge and everyone who spends more than five seconds around me can see it plainly when I run my hands through impulse patterns and babble in nonsense noises. So, when I run, those moments of control are like air to the drowning man. My body goes exactly where I want it to. My most ambitious event was the time I ran a half-marathon with my dad. He and I trained hard. This was, after all, the longest run of my life. As we trained, my dad would strain to keep pace with me. I would wear him out with my voracity for the trail, eating up the ground beneath my feet. We trained until the day came when we had to go to downtown LA and put our feet to the pavement. You could think that a run like this would be easy. I’ve established how I love running. I’ve talked about being good at it. However, I have so much more to consider when it comes to an event like this. I would be surrounded by strangers. I had to sleep near the event in a strange hotel room with none of my familiar comforts. My routine was crumpled up like a piece of scratch paper and tossed away. To a person like me these are major, catastrophic concerns. My parents have to constantly wonder how I will react. Will I be able to handle it? Will I break down and freak out and have to be pulled away into a quiet room where the strangers’ eyes won’t see my weirdness? I felt not just my own anxiety, but the anxiety of my parents as they tried to plan for every problem and prayed for the things they can’t control to just go smoothly. Just before the marathon the runners gathered at the starting point. The buildings of downtown LA loomed over me. They closed in like giants and all of us gathered runners were packed in together. I did feel the energy getting wild inside me. I felt my control slipping. I felt the autism that wanted to take over and become everything my parents and I feared. Then, the signal came and it was time to run, and none of it mattered anymore. The threat was over the instant my legs started moving, because then I knew exactly what to do. Run and run and run. I finished the half-marathon just like the waves of people around me did. I was part of them and I fit seamlessly among them. You can’t imagine how rare that is for me. I am always either the odd boy off to the side with special needs, or I’m the miraculously intelligent boy everyone is shocked can do anything but flap my hands and repeat simple words. I’m always different. I’m always other. But when I ran that day I was just a runner. I was just Dillan. Not Talking is Not the Same as Not Thinking! My young friend, Diego Peña, has learned to become a fighter for nonspeaking children with autism. He is in general education, and has been for a while. Each one of us who accomplishes this is kind of like an icebreaker opening potential channels for other students to follow. It isn’t easy. I share a nice article about him with an interview. Contrary to the article’s implications, you can’t just hand an iPad to a motor impaired autistic kid and magically have perfect typing. It’s a process that takes instruction, time and practice, and it doesn’t happen at three, for the most part. ‘Typing,’ isn’t defined either. To clarify, it’s one finger typing. Diego’s success is good enough on its own merit that it should be applauded for what he has done, without embellishment. So, without embellishment, Diego is a bright ten year old who has autism and doesn’t speak verbally. He has been a successful general education student in regular classes for several years, though not since he was three. He learned to communicate by touching letters painstakingly. He has the parents and the aide and the school environment he needs to thrive and to prove himself. And this he is doing every day. Note: The following article is from the CBC webpage. 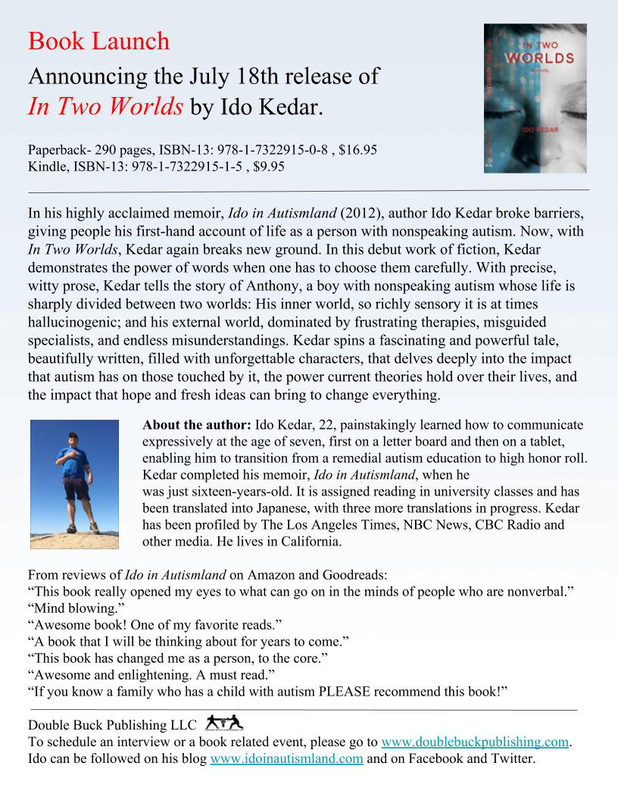 Ido Kedar is a 21-year-old man with autism, who cannot speak (also known as nonverbal autism). 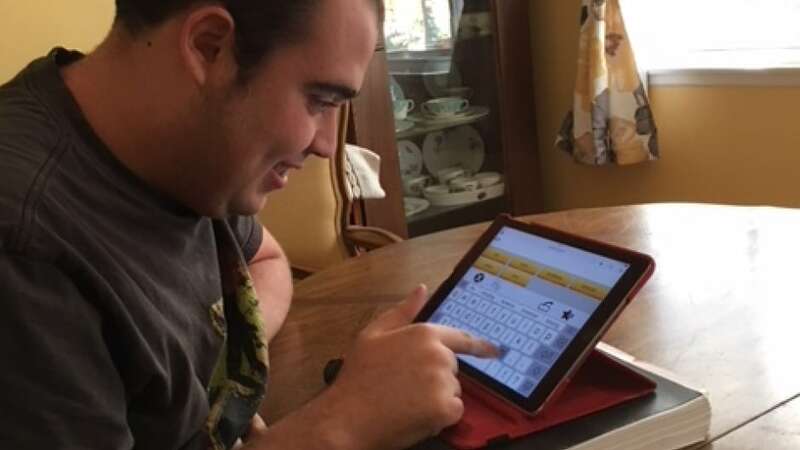 He was told from a very young age that he would never be able to communicate independently. 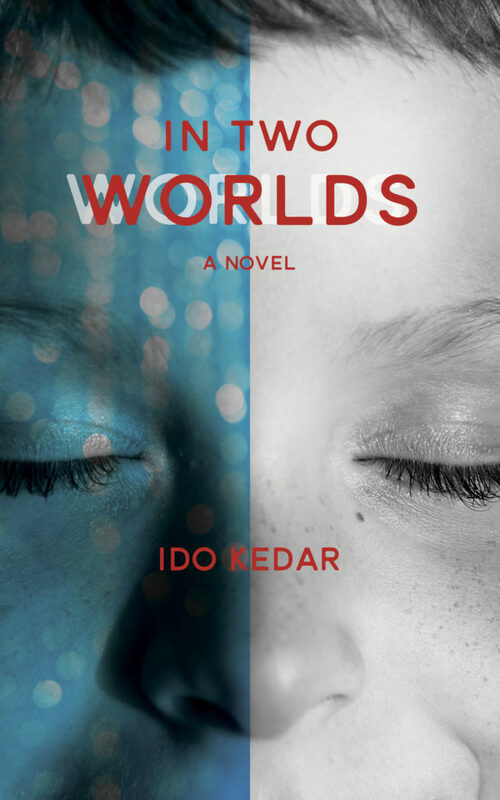 But when he was 7 years old his mother, Tracy Kedar, says Ido communicated with her for the first time in a way she knew for sure that he understood her. They were making invitations for Ido’s birthday party. He did not have the motor skills to hold a pencil on his own, and she was resting her hand over his. As they wrote, it seemed to her that he had a flash of recognition. “I was kind of talking out loud and I said ‘Oh shoot, I forgot this word’ and under my hand I feel his hand spelling it out. And I hadn’t said any of the letters,” Tracy says. People assumed that Ido didn’t know how to read or spell, but by prompting different words, it was clear that he knew more than they had thought. “I put away the invitations and … I remember asking him ‘Why didn’t you show me before?’ and under my hand I feel him writing ‘I didn’t know how to,'” Tracy says. She was delighted, but that feeling was accompanied by the realization that he didn’t just have the capacity to communicate and understand in that moment. He had for years prior. Ido talked to us using his iPad, typing out words one letter at a time. It takes him about three seconds to type each letter. Due to the amount of time involved, we sent him questions in advance. Ido says that he was just as shocked when his mother discovered that he could communicate. “I had no hope that my intelligence would be discovered. The system was gamed against me. If I showed intelligence, my mucked up motor system took over,” he says. Experts often treated his attempts to show intelligence as an accident, he says, which made it harder for him to believe that he could prove it. So once his mother did understand, Ido shared her joy, but had another, more complicated reaction. “Honestly I was mad too. I had a lot of resentment inside because of my frustrating experiences being a smart kid trapped in a dumb body,” he says. Tracy says that some people remain skeptical about his ability to act independently. Even professionals who worked closely with Ido didn’t believe it. However, she says she can live with the need to convince some people that he’s intelligent because their reality prior to her discovery was worse. “I could deal with them thinking I was a delusional mom in denial. That was far less difficult than believing my son was not ever going to progress,” she says. As for Ido, being able to communicate opened a whole new world to him. “My mom and dad found me a teacher who taught me to type independently. Then it became really hard for the experts to refute. But it took time to get to this level of proficiency,” he describes. He learned at first using a cardboard alphabet chart, moving on to a keyboard and then eventually an iPad. Both mother and son now work to help people who are nonverbal make the same progress that Ido had. 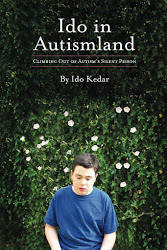 In 2012, he released a book about his experiences called Ido in Autismland: Climbing Out of Autism’s Silent Prison. He has a second book, this one fiction, coming out soon. This story appears in the Out in the Open episode “Divides”.